BREATH FLOW THRIVE : Ruffle your stuff and WIN!! Ruffle your stuff and WIN!! I entered a give-a-way at Ruffles and Stuff and it came out pretty awesome! We have to use ruffles in any way shape or form. Whether it's a garment, or accessory, or item. I decided to make a canvas with mine. 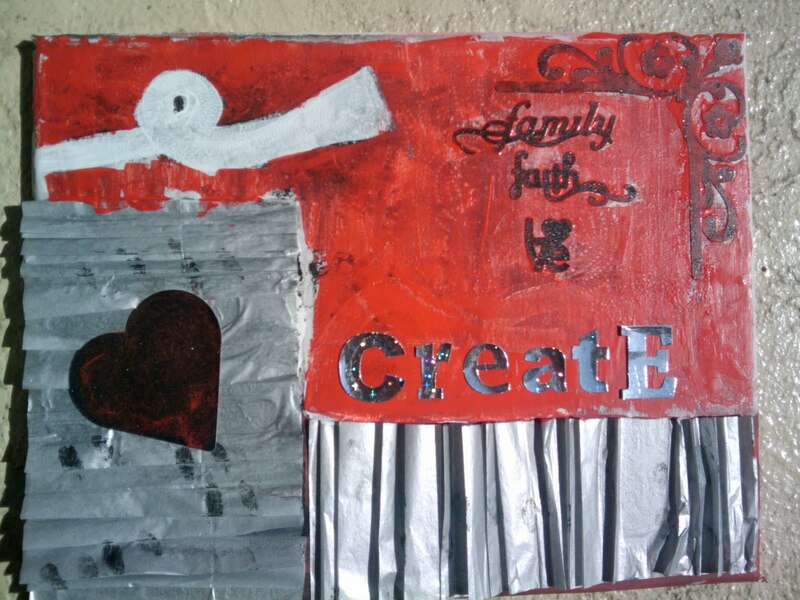 I would like to hang this in my living room as a reminder that creation comes through faith, family and love. 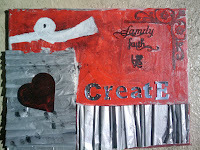 I used silver tissue paper for the ruffles, acrylic paints for the backgrounds and cardstock.